At Just Shutters, we are truly thrilled to be the local plantation shutter experts in the charming seaside town of Margate; known for its sandy beach and vintage amusements. Just Shutters has grown from a small family business to a thriving national company. We have grown whilst maintaining our ethos of providing the highest quality customer service. We pride ourselves on providing our customers with stunning shutters at the value prices with a personal service. Therefore, for Margate plantation shutters, there is simply no other option than Just Shutters. David Stansbury is our Margate plantation shutter expert, he is an entrepreneur who has lived in Kent all his life with a passion for providing customers with bespoke and original shutters. -Being incredibly easy to clean – just wipe away any dust! WHY CHOOSE JUST SHUTTERS MARGATE? 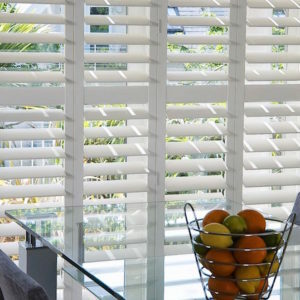 Our Margate plantation shutters experts are perfectionists and provide great customer service. At Just Shutters we value our customers, as a result they recognise us as an established company run by experts who’re truly passionate about the shutters we produce. To experience the Just Shutter experience for yourself, give our team of experts a call to arrange a free home design visit and quotation. We will answer any questions you may have answered. Call us on 01892 575 858 or follow the links below for more information. We truly believe that our experts in Margate are the best in the area, but don’t just take our word for it! Our customer’s reviews are a testament to our hard work. See what our customers have to say below plus many more on ‘checkatrade’.